Dre and the staff at the Kitty house were amazing! Free toast, fruit, coffee and juice every morning as well as ability to refill your water whenever. 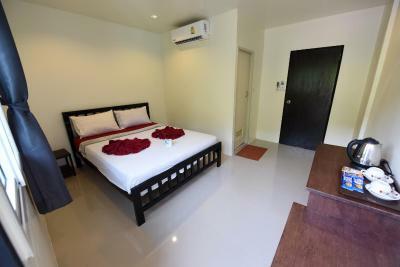 The rooms have good Wifi, A/C, a balcony, TV, table and bedside table as well as towels. Reading many reviews for places to stay on the island made me almost not stay as the accommodations are expensive and don't have the same quality as the rest of the islands, but The Kitty House exceeded my expectations. Dre was fantastic! He helped us figure out things to do, provided great restaurant recommendations, and helped us out with a kayak/snorkel rental. He really made our trip to Phi Phi amazing. And his pets are super cute! 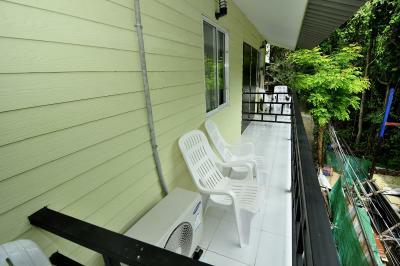 Cheerful owner, lovely stay on quieter part of Phi Phi, right next to beach. Still not too far from main city. The staff were incredibly friendly, accommodating and welcoming. Approachable and willing to give us advice about the area and booked ferry and transfers for us no problem. Had a private room with bathroom. Really clean. 10 minutes walk from the main town, you can faintly hear the party music from the beach but it's ok. Cheap food places aren't so close and it's slightly up a hill. You can borrow mats for the beach and there is a fancy pool one minute walk away. Free water too. We had an awesome stay. Loved it. The staff was extremely friendly. The rooms were cleaned daily. There is purified water that allows you to refill when needed. This was a nice touch. It's not far from the beach which is nice for the day, but on Koh Phi Phi if you're near the beach you hear music at night until 2am. 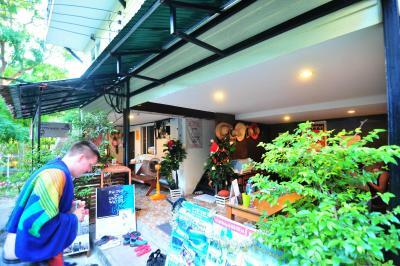 Staff were excellent, the guesthouse is located far enough away from the loud beach. Room was spacious and clean. Would stay there again. The man at reception and the cleaning lady were so nice!! Loved the free drinking water that they provide, it was ice cold and also hot if you needed. It was good because water and everything else was SO expensive on the island and it helps save plastic! Very clean and comfortable. It was quite far from everything (except for the viewpoint which was good) but that means we got a peaceful night sleep farther away from the loud music until 2am! Owners are lovely and happy to help you out with anything you need! I would definitely stay here again! 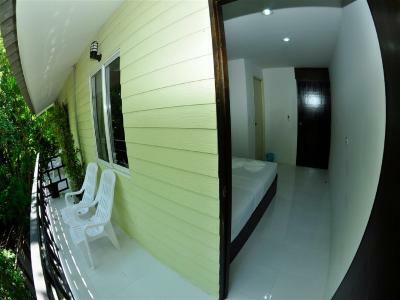 Probably the nicest, cleanest place you can stay in Phi Phi without paying a small fortune for one of the resorts. The guy on reception was the nicest, most welcoming host you could ask for! Staff were very welcoming and gave us loads of information. 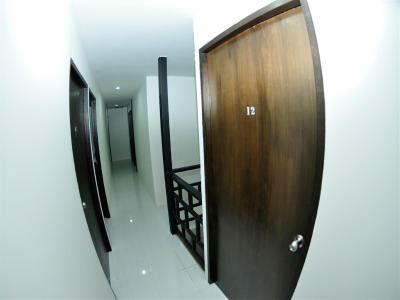 Kitty Guesthouse This rating is a reflection of how the property compares to the industry standard when it comes to price, facilities and services available. It's based on a self-evaluation by the property. Use this rating to help choose your stay! 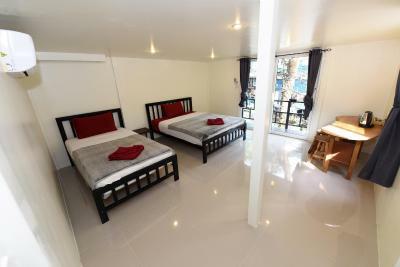 Located in Phi Phi Island, Kitty Guest house offers free WiFi access in all areas. 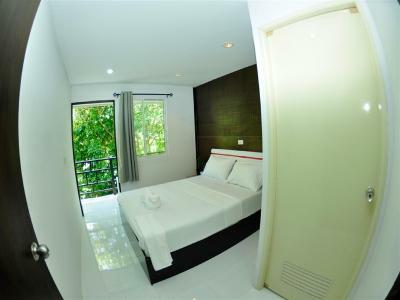 This guest house provides modern accommodations with private bathroom. 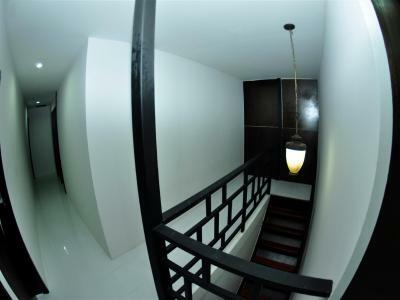 Kitty Guest house is 1.9 mi from Long Beach and 0.8 mi from Ton Sai Bay. The property is 0.7 mi from Pak Nam Bay. 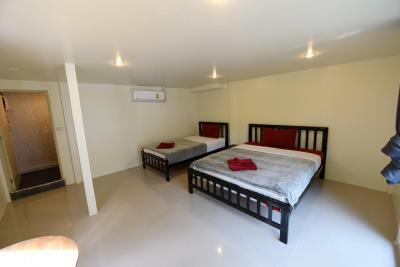 Each unit at Kitty Guest house features air-conditioning. 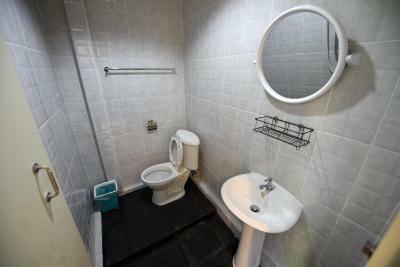 Its private bathroom comes with a shower and free toiletries. Guests enjoy choosing a trip at a tour desk. A laundry service is available at the property. Local food outlets can be found within a 5-minute walk from the property. 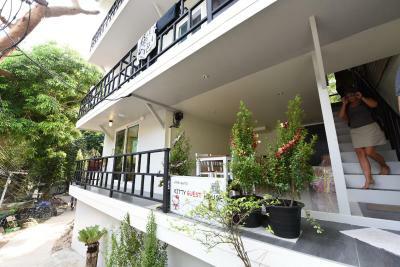 When would you like to stay at Kitty Guesthouse? 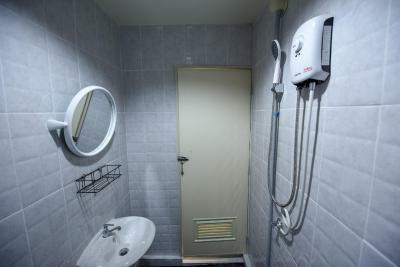 This air-conditioned room features a cable TV and a private bathroom with a hot-water shower. 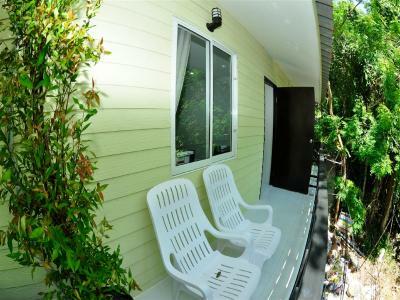 This air-conditioned room features a cable TV, a balcony and a private bathroom with a hot-water shower. 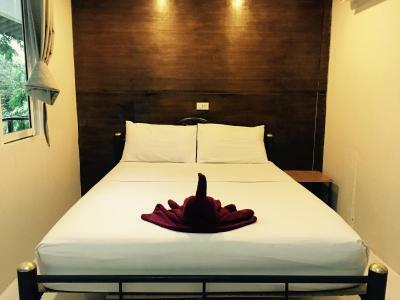 Located 2 minutes away from Loh Dalum Beach and 10 minutes from Phi Phi passenger pier, this quiet and friendly guesthouse offers travelers of all ages and interests 12 fresh and cleanly designed en-suite bedrooms. 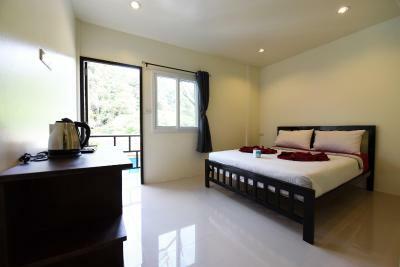 Opened in November 2013, this guesthouse provides a convenient and comfortable place from which to explore the sights and sounds of Phi Phi Island. 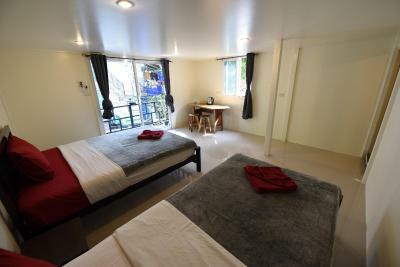 A full-service tour office is available at Kitty Guesthouse offering various activities such as scuba diving, snorkeling, rock climbing, big game fishing, and water sports. 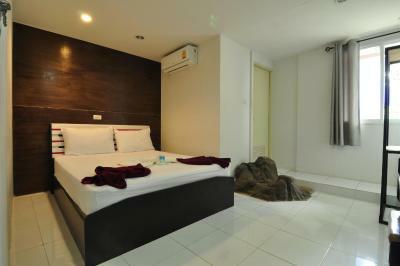 All rooms include air-conditioning, private bathroom with hot shower, cable TV and free wifi. 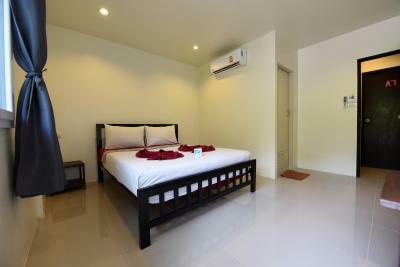 This European-managed guesthouse is a perfect place for those travelers who look for a safe and sound budget stay on Phi Phi Island. House Rules Kitty Guesthouse takes special requests – add in the next step! Kitty Guesthouse accepts these cards and reserves the right to temporarily hold an amount prior to arrival. A prepayment deposit via PayPal transfer is required to secure your reservation. 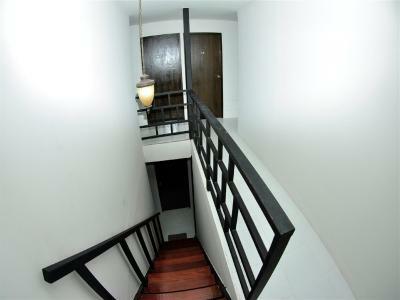 The property will contact you after you book to provide any transfer instructions. 1- you will hear the music from ALL the beach clubs up to 1am. If you don't plan to go to bed before that, there is no problem. 2- AC is crazy. It's either polar vortex or nothing, even if you put the temperature to 28c. 3- Staff is extremely kind but not very knowledgeable about the tours they sell and boat schedule. 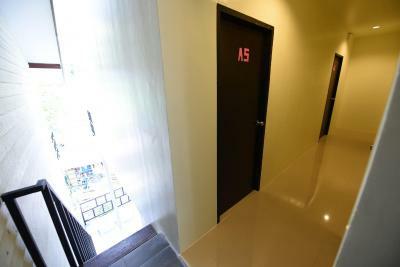 4- Bathroom stinks but if you close the door it's ok. 5- bedsheets are stained 6- Hotel is located in a "under development" part of town. Not very glamour to say the.least. Bed and pillows were lumpy. Breakfast was quite basic with only toast, strawberry jam and watermelon on offer. Staff were amazingly friendly and helpful! Room was really clean and well presented (despite lumpy bed and pillows). Location is a little further along from bars so limited noise (once you put earplugs in), but still only a short walk into town. Bed was made of plastic or something like that. Woke up couple of times in the night because it wasn’t comfortable at all. Airco was really cold or really hot and made a lot of noise. Shower was still wet and the water stayed there the entire time. Nice staff. They help you with activities. Free water. Very chill and quiet. 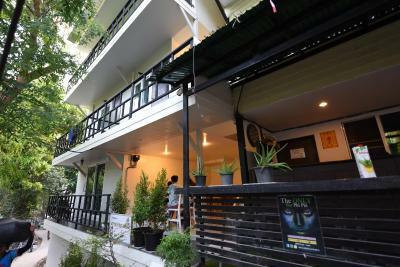 Overall a fine place to stay at and it was not that expensive, especially in comparison with other hostels and stays. Bed was not so comfortable. Bathroom and shower small. Not many furniture in the room. Very nice stuff. Free water. More quiet than in the main area. The receptionist was the best so far. Explained to us everything! We felt like home ! The room is clean. For the older generation the bed was too hard. Room very basic but clean. For the younger generation this is an ideal place to stay. A 3 minute walk and you are in the heart of all the crazy. Very nice stay in a more quiet area! Room was larger than expected and staff was very nice. Noisy at night (not as bad as in the center of town, but the noise is still there). Bring your earplugs! The location is very good, however it is located in a way that all the beach clubs blast music right over the water into the room. I don't mind the half distant half muffled music in general, but when there are 2 or 3 basses competing, it can get a bit annoying. The music dies out around 02.00am tho, so its not ther bad. Drey the owner was awesome! The location (If you don't mind the music) is actually perfectly situated just at the end of the main road. The rooms were nice and clean and the atmosphere was awesome! Some party noise at night but not that bad. If you want to stay near to the main area then you have to put up with that. Unfortunately I came down with a viral fever 2 days into my trip. The owner/manager of kitty guesthouse couldn't have been nicer. Drey was most supportive and understanding and did all he could to make sure that I was comfortable as I was bed ridden for the rest of our stay. He went out of his way several times and made sure I had everything I needed. The rest of the staff were really very nice too. They cleaned the rooms daily and even changed our bedding regularly. 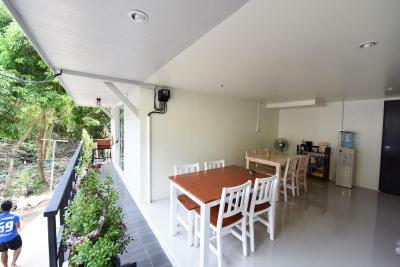 It's clean and comfortable and near enough to the main areas. Some sound of parties at night but not too much. Also the drunken crowd does not come that way mostly so once the music turns off at 2 after that its all very quiet and peaceful. Hot water in the showers. Air cons in the rooms. Drinking water is provided as well and also a very basic breakfast. Definitely recommended. Thanks so much Drey for your wonderful hospitality.